From the author of Secrets To Big Money Fundraising, this booklet for nonprofit board members demystifies the sometimes daunting and off-putting issue of how nonprofits develop BIG MONEY donations, and focuses on the critical relationship between CEOs and their directors and trustees in the fundraising mission. With rare exception, 80 percent of your gift revenue will come from the top 20 percent of your donors.
. How can you capture and keep this special group of philanthropists who are capable of making such large gifts each year?
. What if you have a large capital need to grow your nonprofit’s service capacity?
. Where will this money come from if not from the very wealthy? All hands are needed on deck because we live in a world where government grants are rapidly shrinking or completely disappearing, the gap between the wealthy and the middle class has grown larger than ever, and new tax laws have reduced the incentives of the middle class to make charitable gifts. 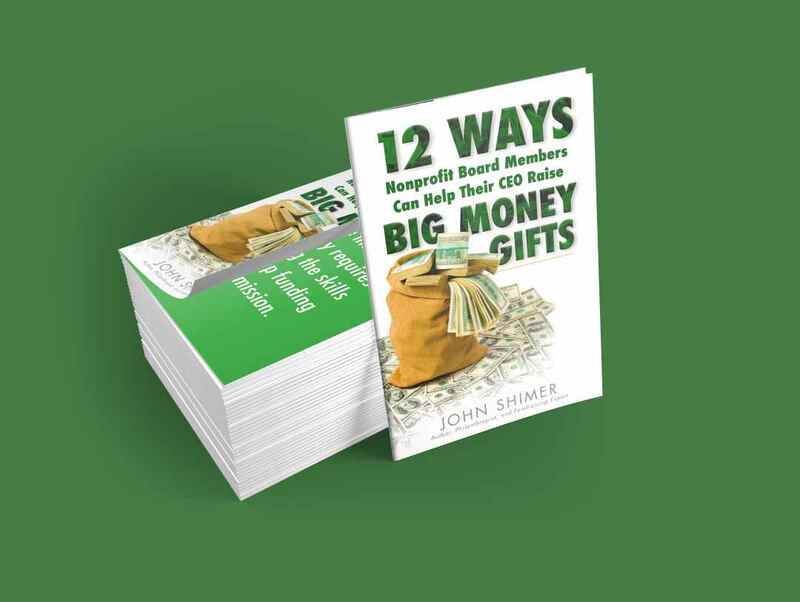 In this booklet we provide you with twelve proven ways to help your CEO raise BIG MONEY so you can give hope to those who need your nonprofit’s services. 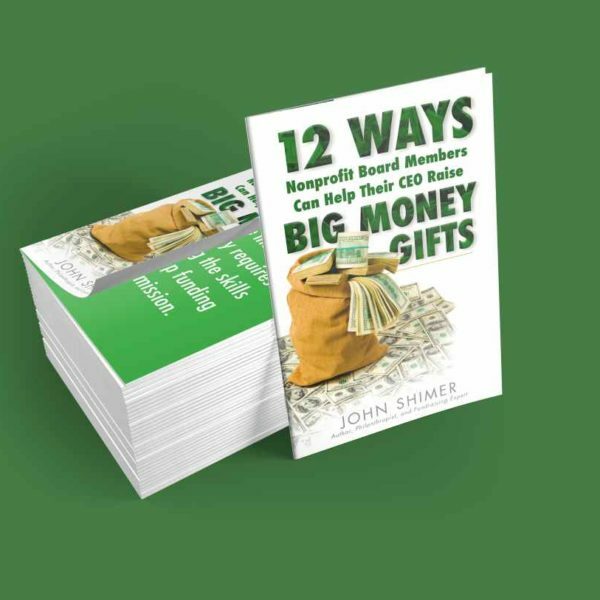 It explains simply but forcefully the proven BIG MONEY fundraising methods that can help change the future of your nonprofit organization. Get yours today! © 2017 Big Money Fundraising LLC.